« Casa de Bandini Vegetarian Entree Specials and Soups of the Day! The holidays are quickly approaching, turkeys will be in the oven in just a couple of weeks. Casa de Bandini is the perfect place to host your San Diego holiday party for your company, group or family holiday party. With our authentic Mexican atmosphere, we offer a full bar and can offer you our full menu or personalize one just for your party. 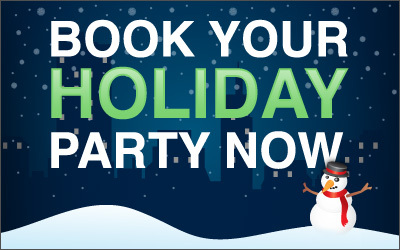 10 out of the 30 days in December are already booked, so if you want December to be your month call us now at 760-634-3443. Many companies now have their parties in January so book those soon as well because our calendar is also rapidly filling up for January. If you’d like, we can also bring the party to you. Decorate your office, home, clubhouse…any place you want to have a party and we will deliver the delicious food and drinks and serve them up for you. So don’t delay and get shut out. There is no place for a North County holiday party like Casa de Bandini! This entry was posted by The Bandini on November 8, 2011 at 7:16 am, and is filed under Blog Entries, Holiday Parties, Seasonal Specials. Follow any responses to this post through RSS 2.0. You can leave a response or trackback from your own site.